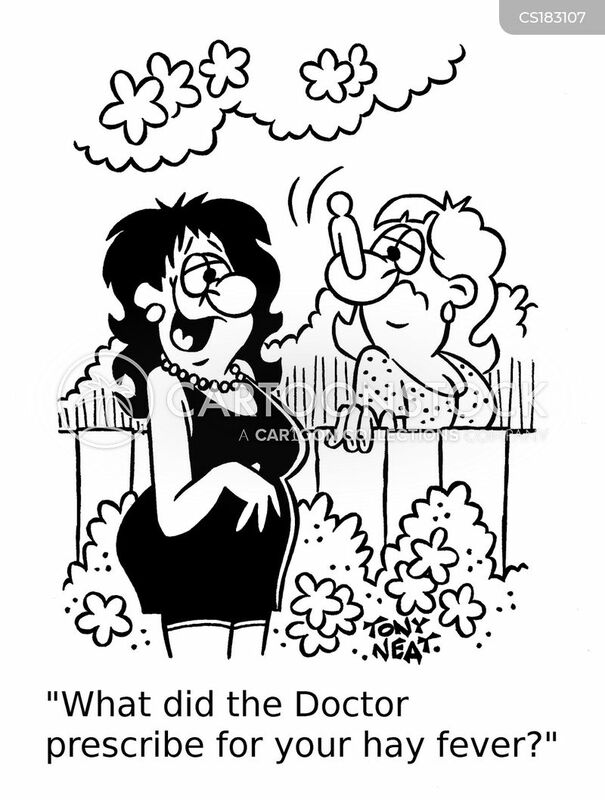 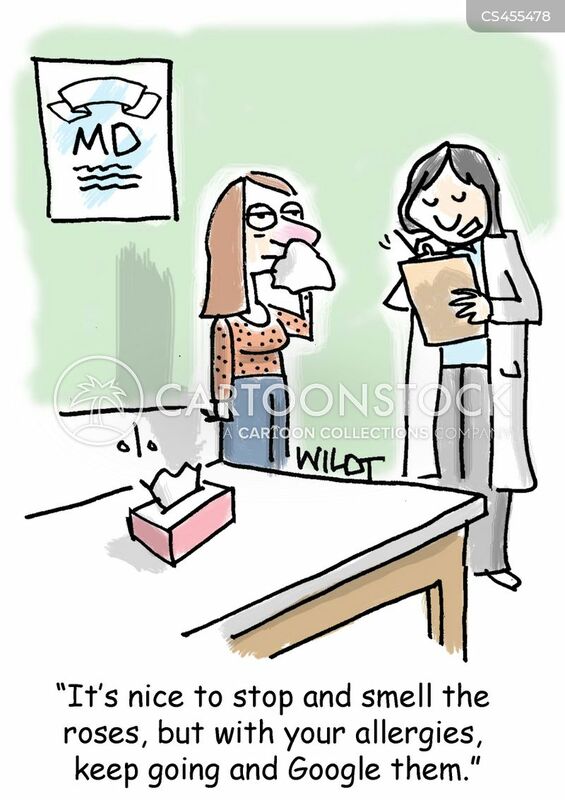 Spring Fever or Side Effects? 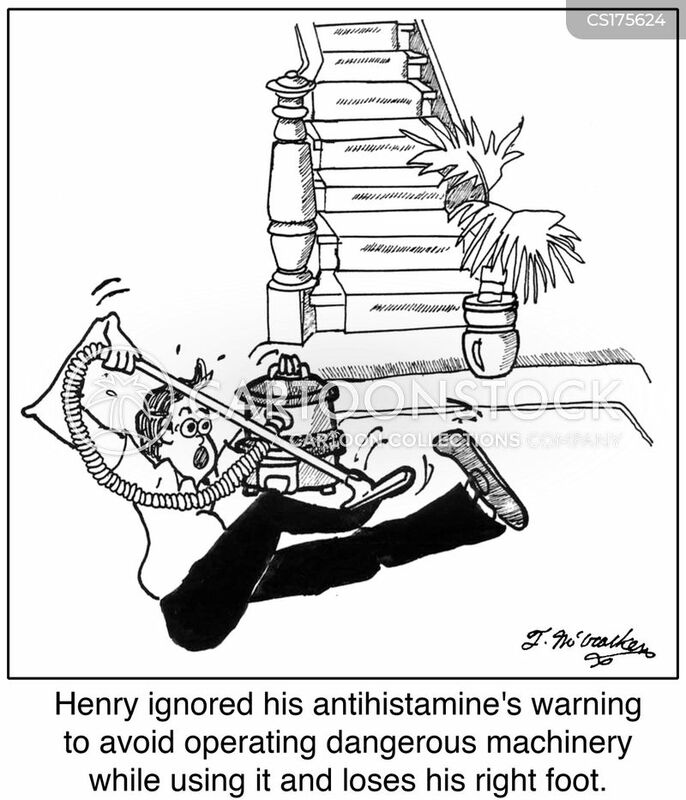 Henry ignored his antihistamine's warning to avoid operating dangerous machinery while using it and loses his right foot to the vacuum cleaner. 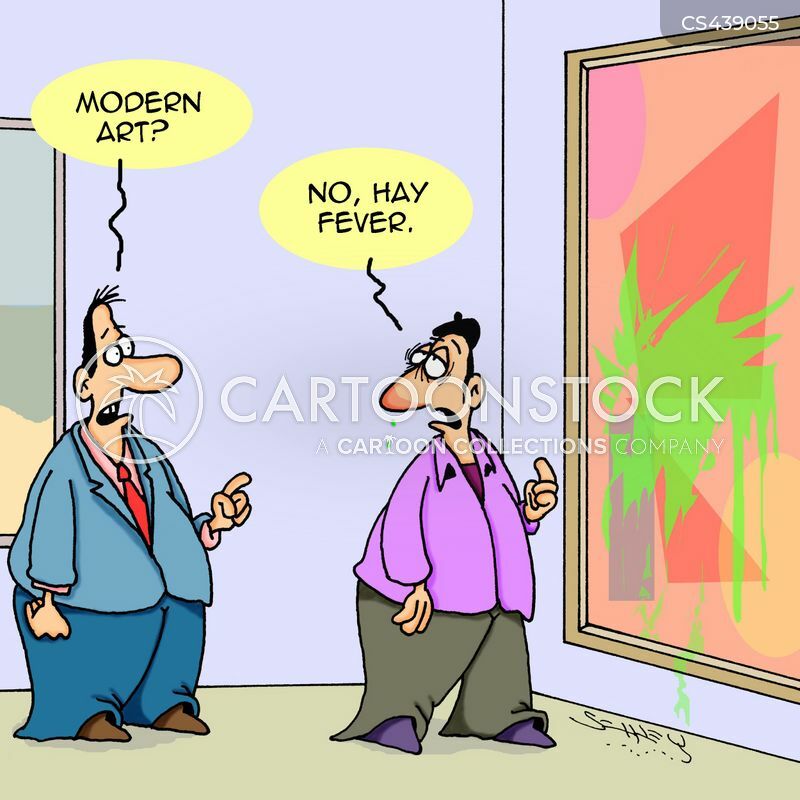 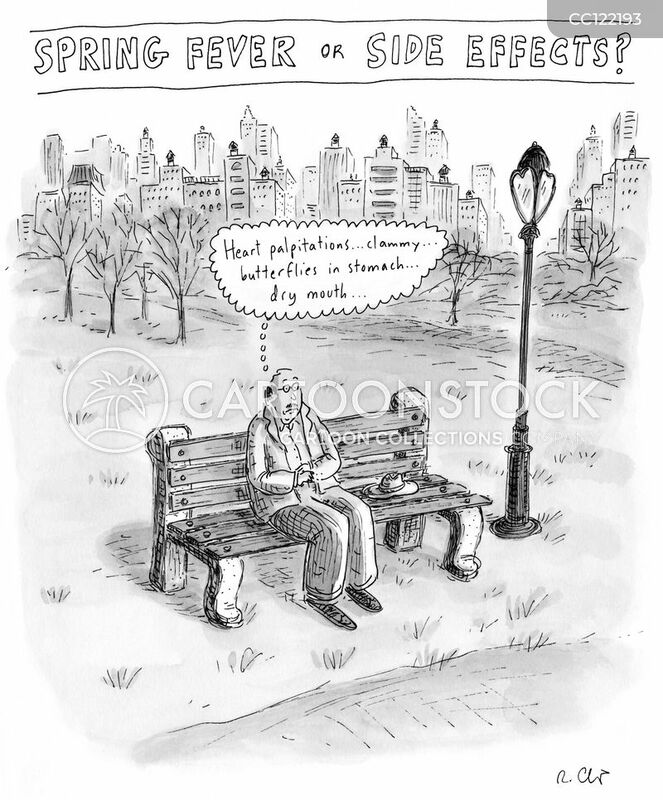 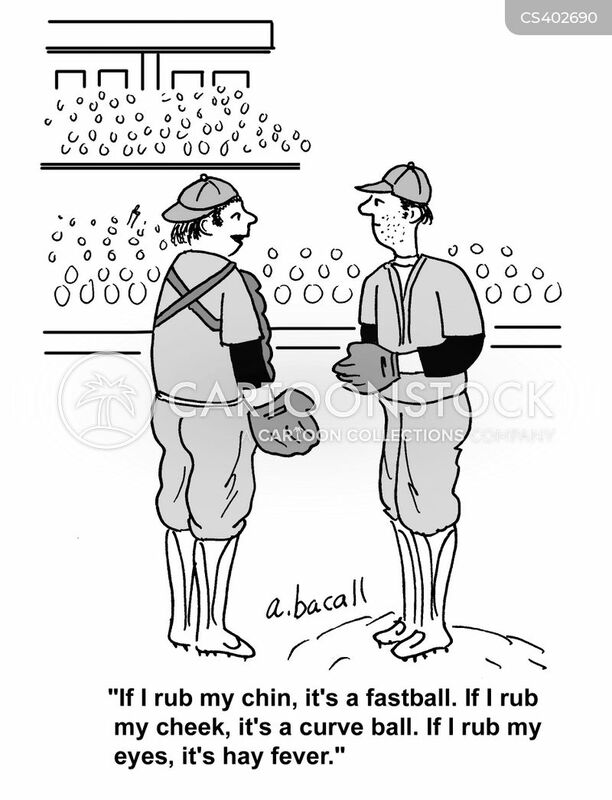 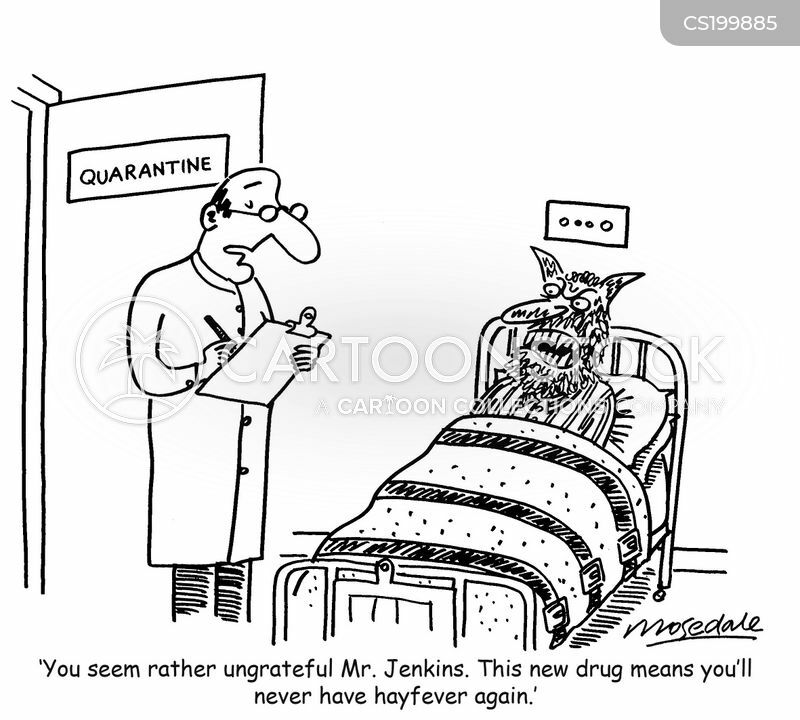 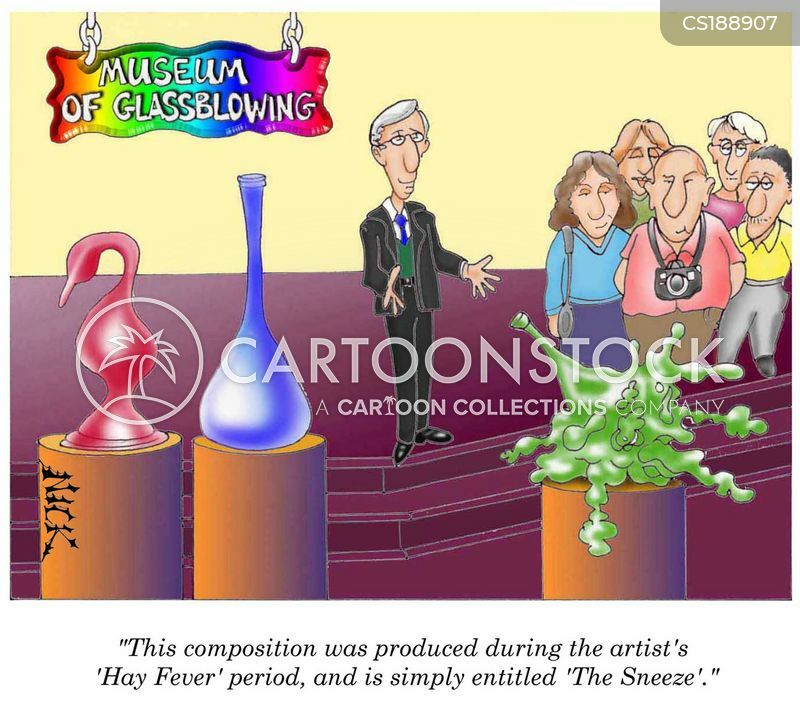 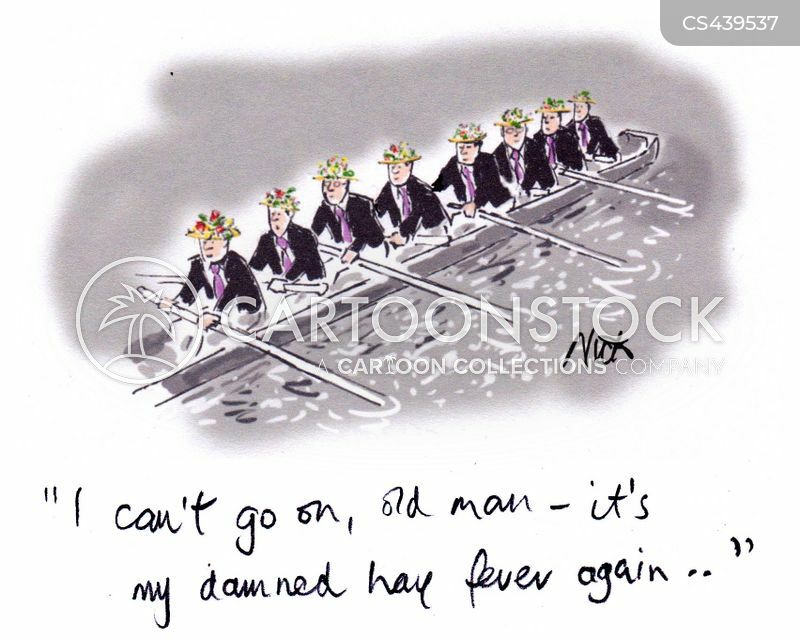 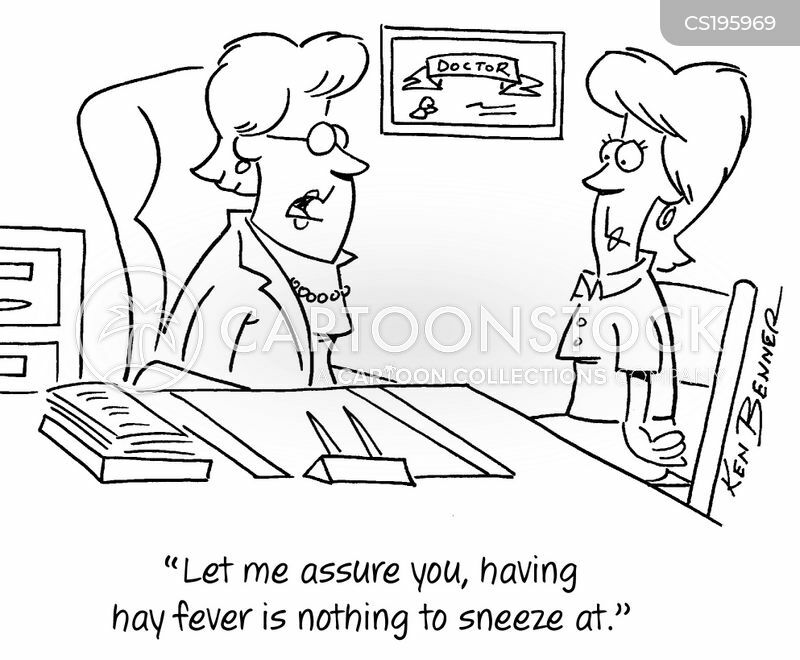 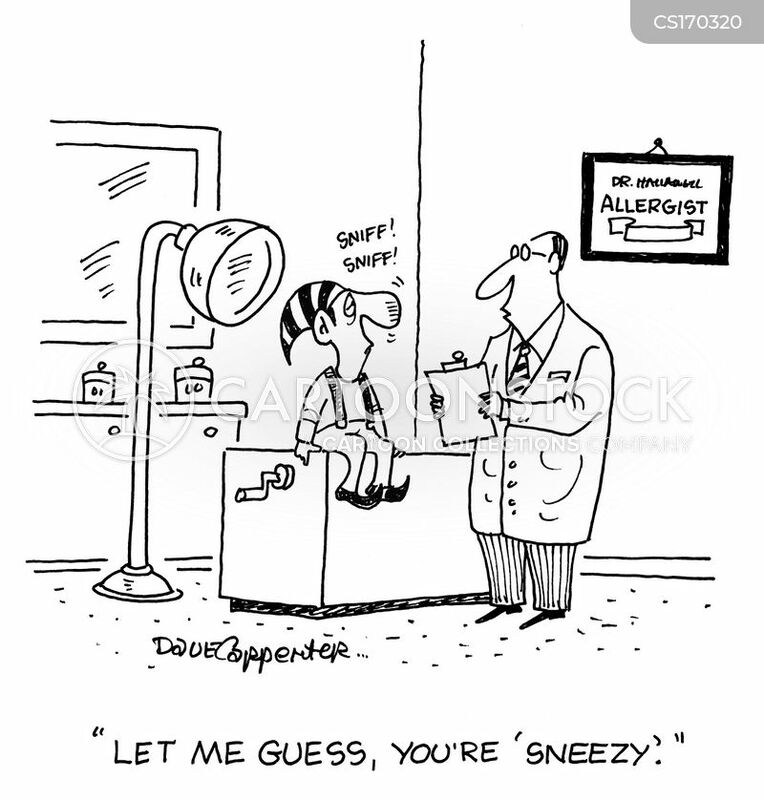 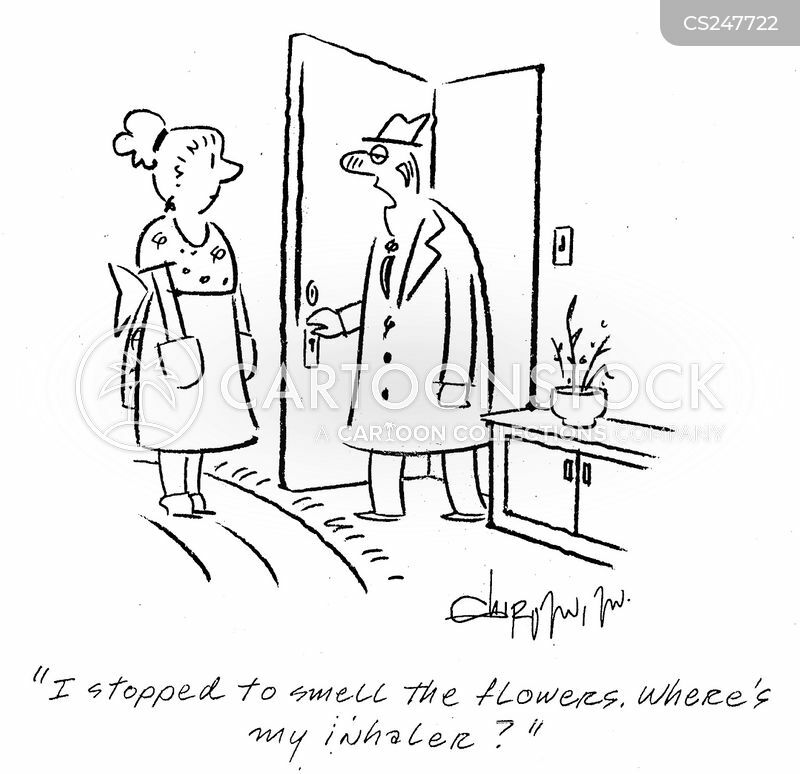 "Let me assure you, having hay fever is nothing to sneeze at." 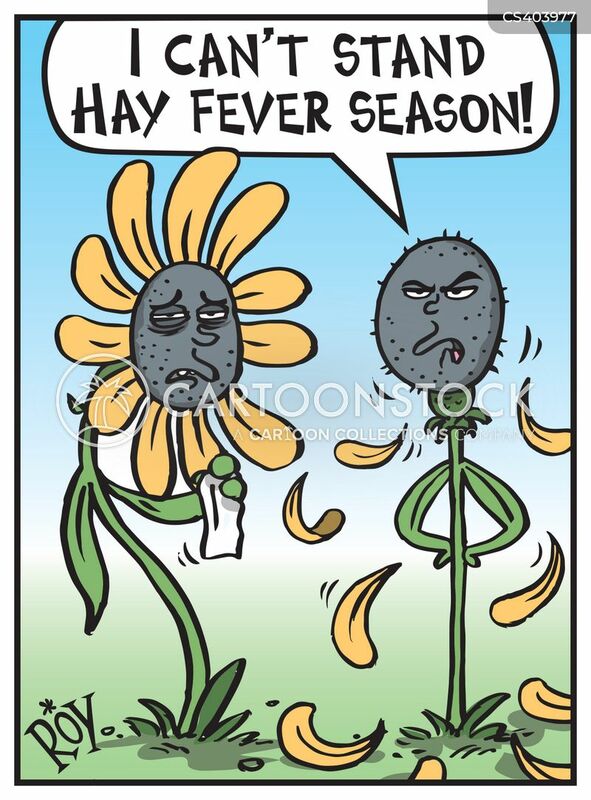 "I can't go on, old man - it's my damned hay fever again..."
"We hate being stuck indoors because of seasonal allergies, so it's a relief when we can blame it on a dangerous fugitive." 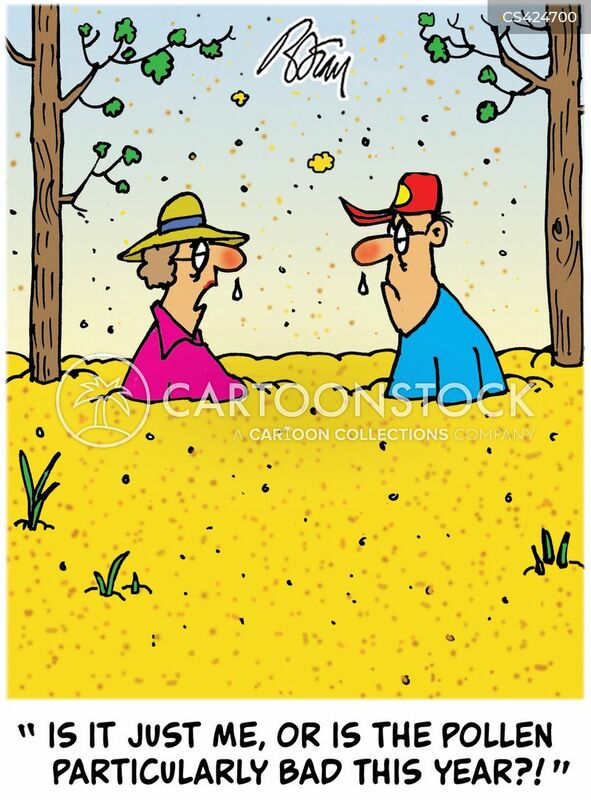 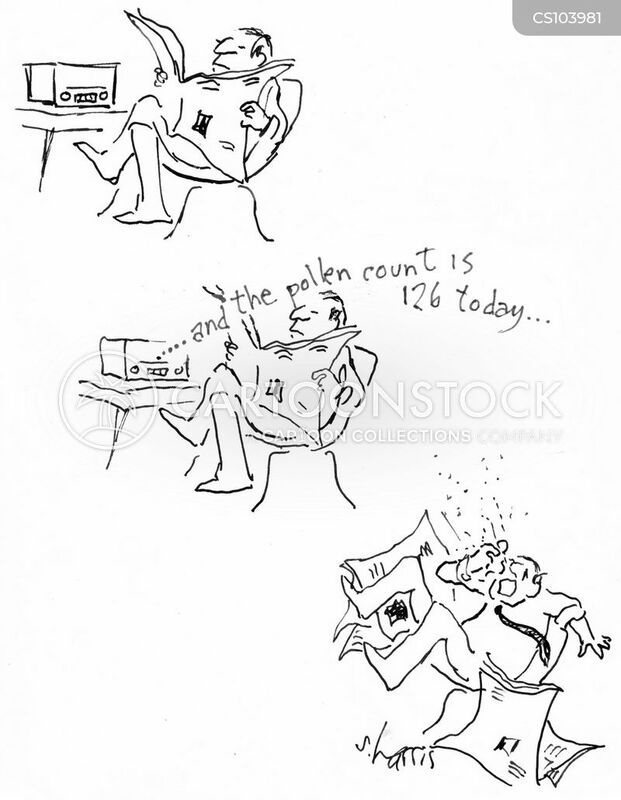 "...and the pollen count is 126 today..."
"I got my wife some flowers for Valentine's Day...she has hay fever." 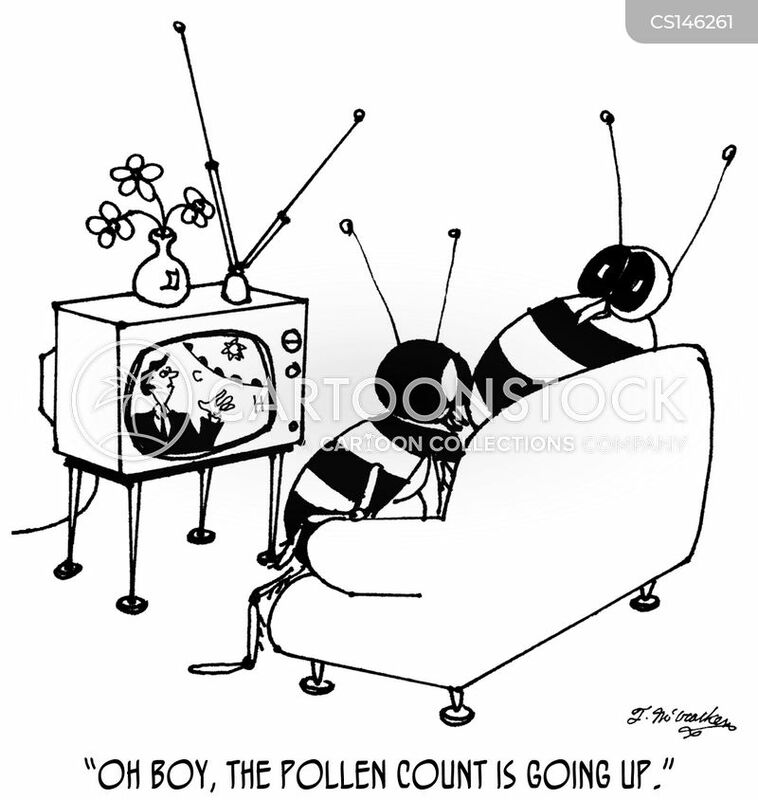 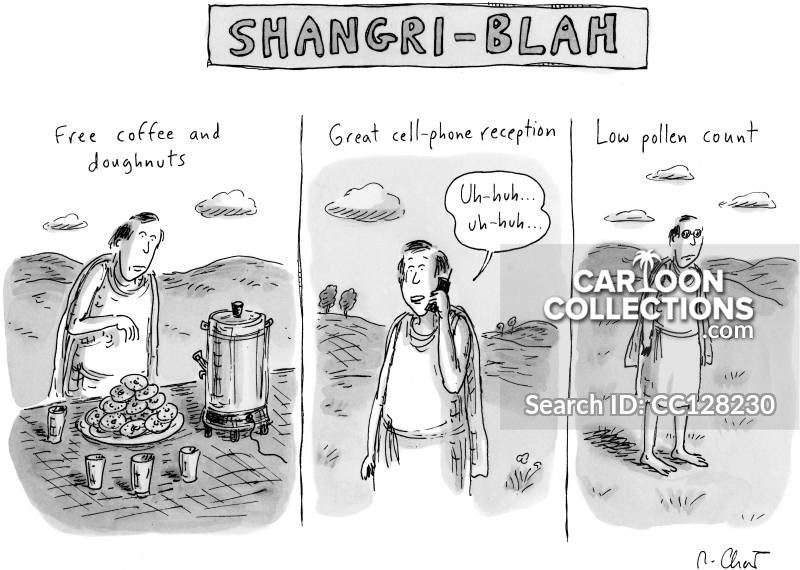 "It's nice to stop and smell the roses, but with your allergies, keep going and Google them." 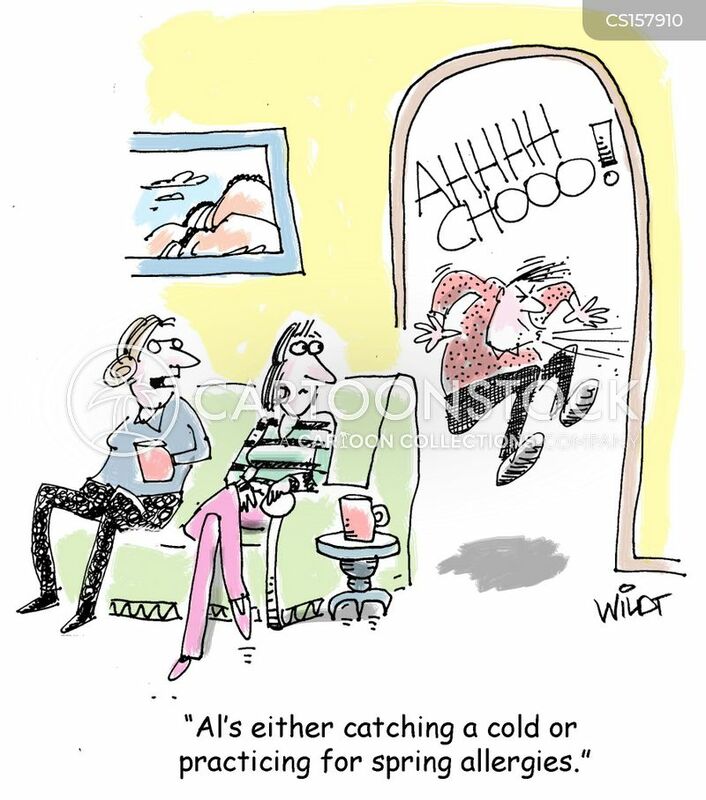 "Al's either catching a cold or practicing for spring allergies." 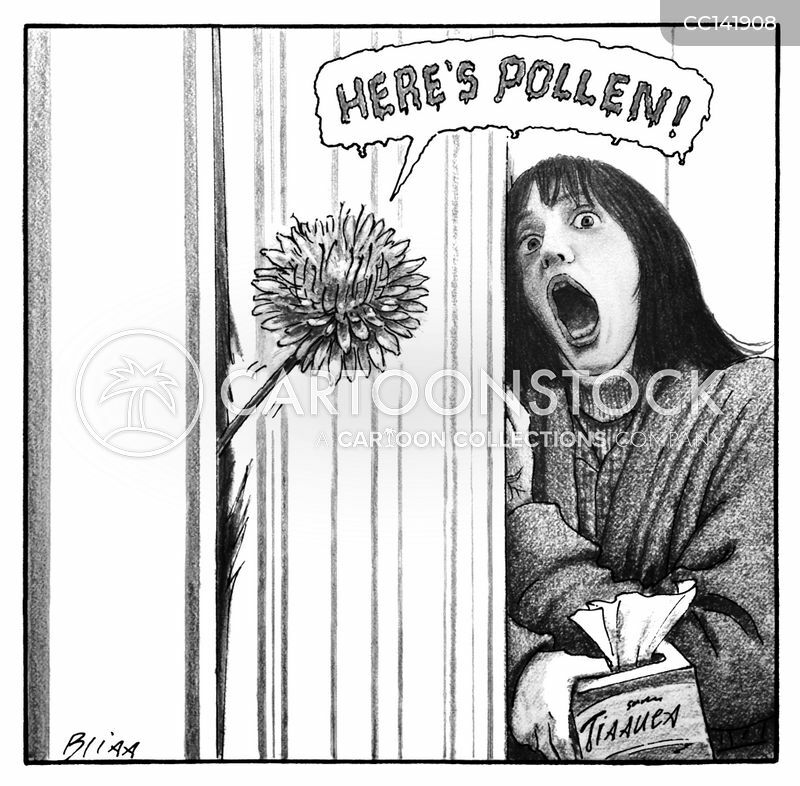 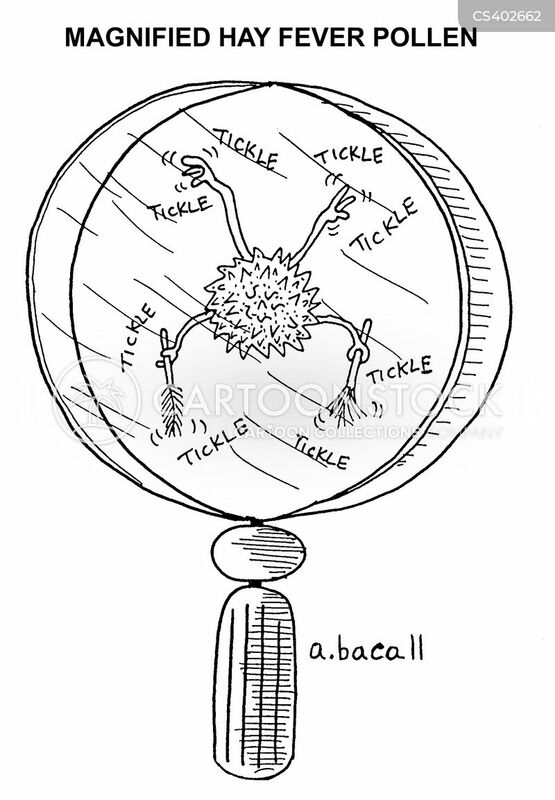 "Is it just me, or is the pollen particularly bad this year?" 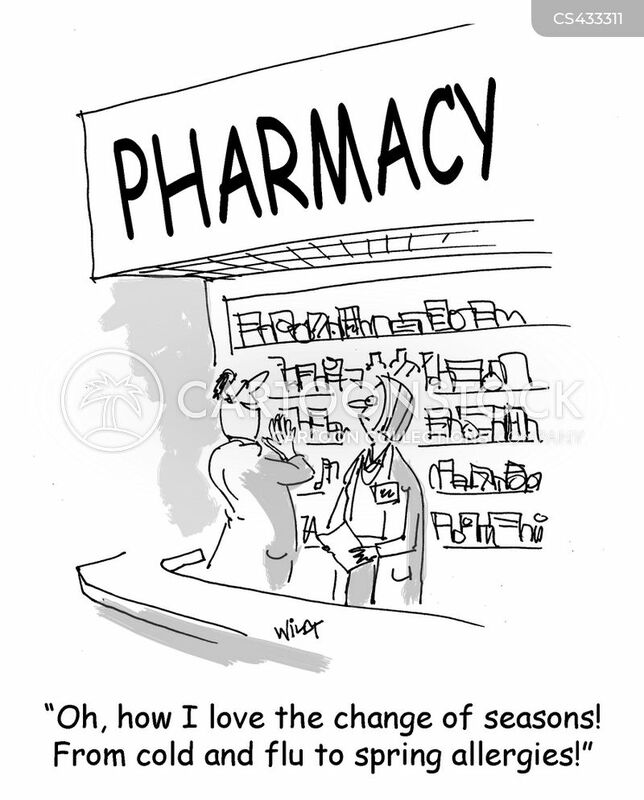 "Oh, how I love the change of seasons! 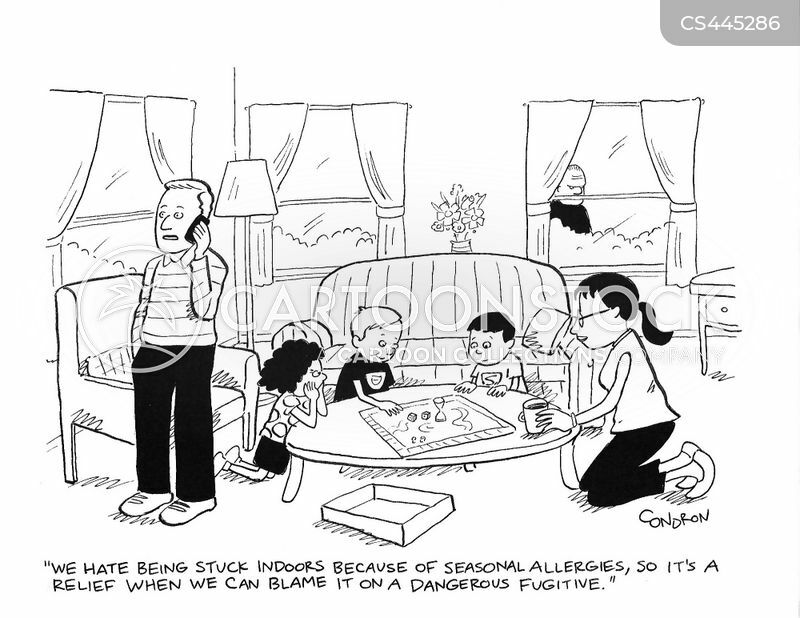 From cold and flu to spring allergies!" 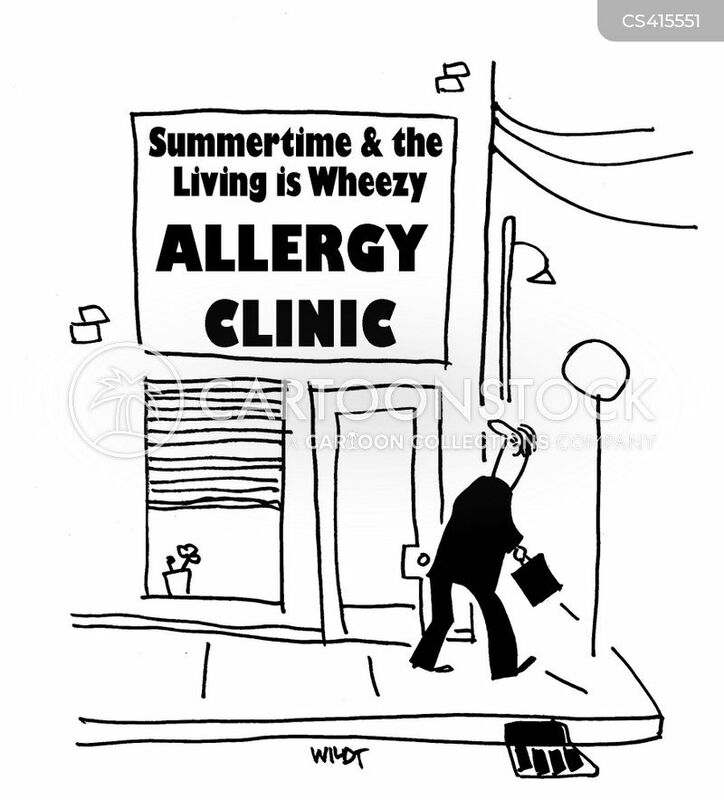 Allergy Clinic. 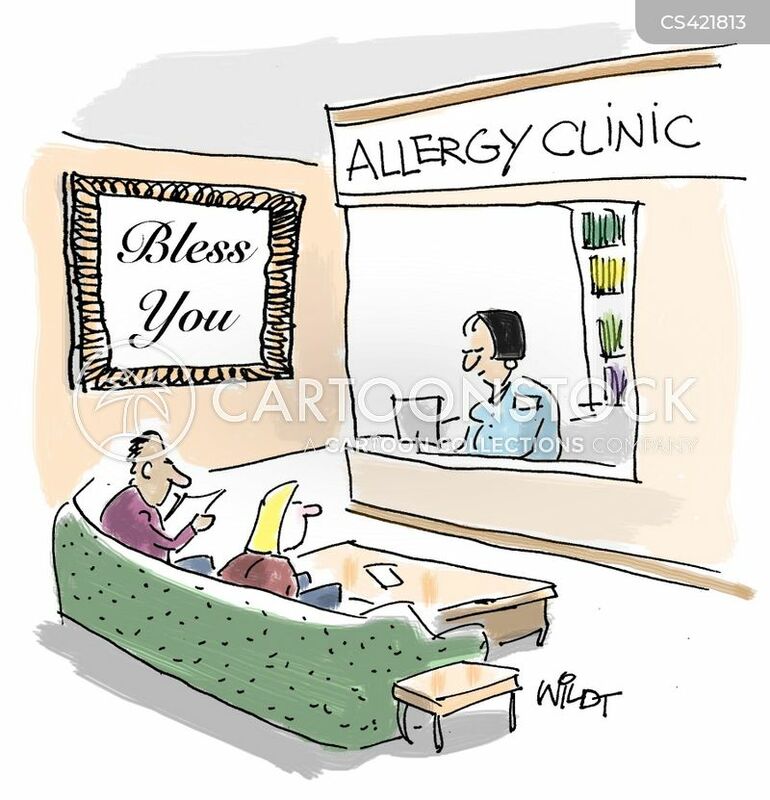 Sign on wall says bless you.